The use of CBD for a wide range of medical applications is gaining a considerable amount of popularity among athletes including grapplers and mixed martial artists in 2019. The recent legalization of CBD in some parts of the world and the intensified level of research aimed at understanding the role of CBD in the alertness, immunity, and treatment of inflammation among mixed martial artists and other users are now demystified. 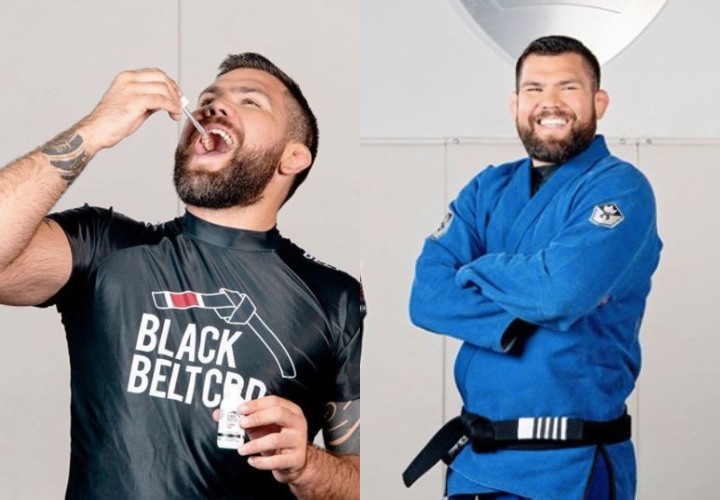 With many successful mixed martial artists like Nate Diaz, Diego Sanchez, Matt Mitrone, and Tj Dillasaw speaking up about CBD, it seems to be everywhere in the MMA world. A very well known celebrity podcaster Joe Rogan is also a long time advocate for Cannabis usage and in particular the benefits of CBD oil. For those who are new to CBD oil and it can be described as one of the numerous (over 100) plant cannabinoids present in the cannabis plant. These plant cannabinoids have a long history of acting as therapeutic agents for a wide range of diseases and medical conditions. In fact, the Chinese surgeon Hua Tuo was credited with being the first recorded person to use cannabis as an anesthetic who lived in 140-208. CBD can serve as a perfect remedy for pain relief. Unlike the numerous over-the-counter prescription drugs on the market, CBD elicits little to no side effects and boosts the body’s response to inflammation and other pain triggers. Hormonal imbalance can lead to depression and the formation of other disease conditions which can limit the performance and activity of a mixed martial artist. CBD can boost the production of feel-good hormones such as cortisol and dopamine to keep the body and muscles relaxed. The interaction between CBD and the endocannabinoid system (ECS) can elicit a positive effect on the muscles thus, enhancing their strength and general level of health. Research has shown that CBD can serve as antioxidants which neutralize the harmful effects of free radicals in circulation thus limiting the growth of cancerous cells and other muscle related challenges. The interaction of the CBD with ECS has been documented to bring about the reduction in the level of anxiety and depression experienced by several individuals. CBD acts as mood boosters by triggering the release of feel-good hormones which relieve stress and keeps the body away from depression and any form of anxiety. CBD when in combination with THC can increase brain function. Hemp Bombs’ premium CBD Oil contains no THC and it is derived from Industrial Hemp, making it federally legal and safe to take before a drug test. We source our CBD oil from organic-certified, superior quality Hemp to deliver a pure and potent dose of health benefits. Interested in taking CBD oil to relieve your pain? Shop our premium CBD Oils – available in different potencies and flavors.